In a study in 2000, the effectiveness of Modafinil to treat adults suffering from ADHD (Attention Deficit Hyperactivity Disorder) was evaluated. Twenty-two adults were tested over a three week treatment period. The mean optimum dosage was approximately 200 mg per day, and was well tolerated. The result of this test showed that Modafinil might be a feasible treatment for those suffering from ADHD. Another way Modafinil has shown some positive results is in the treatment of cerebral palsy. This use was discovered by accident when Daniel Hurst, a child neurologist from the Texas Tech University Health Sciences Center, who was using Modafinil to treat seizures and Attention Deficit Disorder (ADD). The patient had only taken Modafinil for a few weeks when he had an appointment with a surgeon to investigate corrective surgery on his ankles because he had been walking on his toes. The surgeon cancelled the surgery because the muscles of the ankles had improved so the surgery was no longer required. Later, a pilot study was conducted with 10 child patients to test the validity of this result. After one month of taking Modafinil, the children showed improvements in the distances they could walk and their overall muscle spasticity. The drug stimulates the brain stem and allows the muscles to relax. Modafinil shows tremendous potential in the treatment of cerebral palsy, but more study is required in this area. Fibromyalgia is another condition that has been treated successfully with Modafinil, as a relief to fatigue. Fibromyalgia affects 2% of the population and its symptoms include chronic fatigue and musculoskeletal pain. In a study in 2006, ninety-eight patients with Fibromyalgia took doses of 200 to 400 mg of Modafinil daily and two thirds of the participants reported a reduction in fatigue of at least fifty percent. Alertness improved and they had less need for daytime naps. The use of Modafinil as a treatment for bipolar depression is currently being studied. In 2005, Dr. Frye conducted a study on 85 patients with this condition at the University of California, Los Angeles. Their symptoms included excessive sleepiness and fatigue. Forty-four percent of the participants reported positive results. 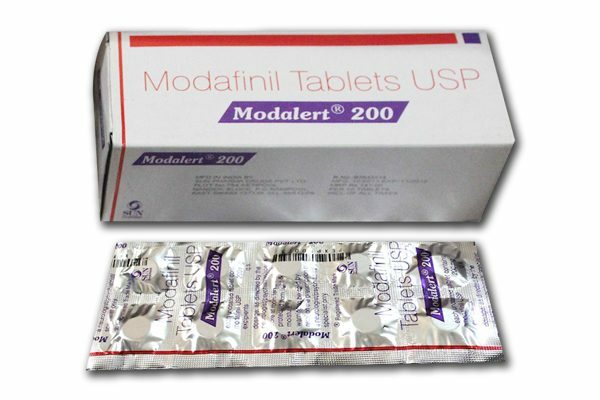 Modafinil has proven successful in treating excessive daytime fatigue in those with Parkinson’s disease. In 2007, Dr. Lou at the University of Oregon Medical School in Portland, Oregon, studied 19 patients with Parkinson’s disease. They used a Multidimensional Fatigue Inventory (MFI) measurement tool to assess physical fatigue in these patients. The results of this study showed improvement in finger-tapping frequency and velocity, and less fatigue. Based on this study, Dr. Lou recommended using Modafinil as a treatment for fatigue brought on by Parkinson’s disease. In other studies, Modafinil did not improve the level of fatigue in the participants with Parkinson’s disease, so additional testing is required. Modafinil has been used in the treatment of fatigue in patients with multiple sclerosis. In 2002, a study on sixty-five patients showed positive results. These patients received a dose of 200 mg of Modafinil for a period of two weeks and showed significant improvement with no serious side effects. The side effects included headaches and nausea. The study concluded that Modafinil is an effective drug to treat fatigue in patients with multiple sclerosis. Because Modafinil is also a psychostimulant medication, it has the potential to treat learning and memory dysfunctions in multiple sclerosis patients. Studies on this treatment are currently ongoing.